Large airy and light main reception room with comfortable sofas for cosy nights in. A TV and DVD player provides entertainment. The kitchen/dining area seats up to six persons with a newly refitted kitchen. There is a cloakroom toilet next to the stairs leading upstairs comprising 3 bedrooms with feature beams and solid beds in each room. The rooms are configured as 1 x king size, 1 x double size and 2 singles. There is an upstairs modern bathroom and a seperate shower room. At the rear of the cottage a southerly facing patio area. Free Wifi is available at all Bramble Farm CottagesBramble Farm Cottages is a family run business which consists of old farm buildings that were part of Bramble Farm. Our cottages: The Old Barn, The Granary, The Dairy, The Milk Churn and The Stable are five converted buildings which are part of the Old Farm House in Church Lane. Great location and the cottage had everything that was needed. Much more space than expected and a super large kitchen meant no one got in anyone’s way. We would definitely return. Lovely cottage in a great location. Would definitely visit again. We stayed in the Granary at Bramble Farm Cottages for a short break in the October half term holidays. We didn't arrive until very late as we had a long journey and hadn't left home until the Friday evening after the children finished school. The arrival procedure was so easy and catered well for the fact that we didn't arrive until around 9pm. The owners had also left us milk and butter in the fridge, a loaf of bread and a nice box of chocolates (a lovely welcome on our arrival). There was also tea, coffee and sugar available (although we had brought our own). The cottage is very well equipped. Small things like hangers in the wardrobes, tablets left for the dishwasher, make such a difference even though they seem small. There were some DVDs to watch (although we didn't as we brought our own), still a nice touch. I messaged the owner on the second evening as the cottage was cold and I couldn't work out how to get the heating on. He responded within minutes and had been round to sort it out by the time wed got back from our evening meal out (it was just timed to come on later in the evening). I couldn't fault how quickly he responded and sorted it out for us and he even apologised!.He then came round the next day to introduce himself and check everything was okay. The location of the cottages is fantastic for getting around the area. You feel like you are in the middle of the countryside when you look out of the window, but you are actually very close to Ferndown, Ringwood and other places. Okay, so it is located right next to the airport (you do need to understand that) and the planes do go right overhead but actually, it didn't both us at all. They are fairly loud when they go over but it is not very often and certainly did not disturb our stay. We would definitely stay there again if we visit the area again and will definitely recommend the cottages to friends and family. 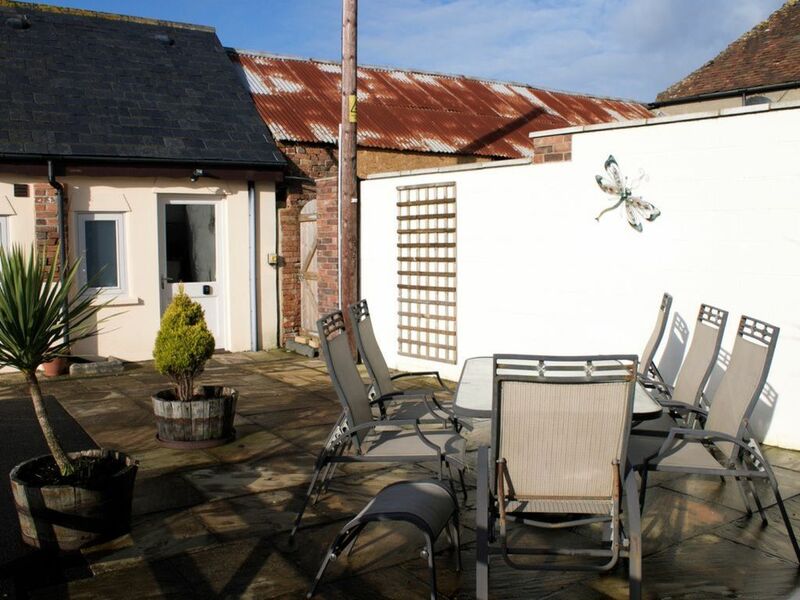 It was a beautiful cottage, very well kept and the owners could not have been more helpful. This is an ideally located cottage which we found to be homely and rather lovely. Matthew made us feel welcome and was attentive when required. We thoroughly enjoyed out stay.